When you have a bestfriend, you have everything in this world. A bestfriend is equal to all your relatives. When someone hurts you, say to your bestfriend and he/she shows the real meaning of friendship. 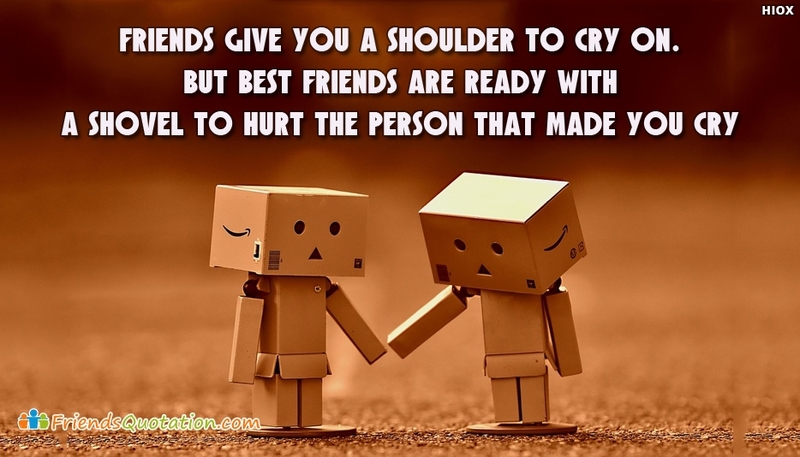 Share this "Friends Give You A Shoulder To Cry On. But Best Friends Are Ready With A Shovel To Hurt The Person That Made You Cry" and say to this world that you have a bestfriend.